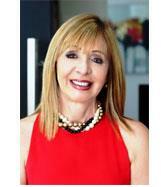 Laura Caruncho The key to selling your home! Danton Properties PR is a premier real estate company, providing services to buyers and sellers in the San Juan area. We have a long history in San Juan and its surrounding area, including Condado, Dorado, Guaynabo, Hato Rey, Isla Verde and Old San Juan. If you are new to the area, we can provide guidance to find the community that is perfect for your needs—whether you are purchasing a vacation home, are looking to settle down in retirement or want to grow a family in the Commonwealth. We also have professional connections for all your home buying or selling needs, including mortgages, home staging, rental services and relocation. Please take some time to browse the properties on our website, explore our services and learn more about the team at Danton Properties PR. When you’re ready, contact us and let us know how we can help.